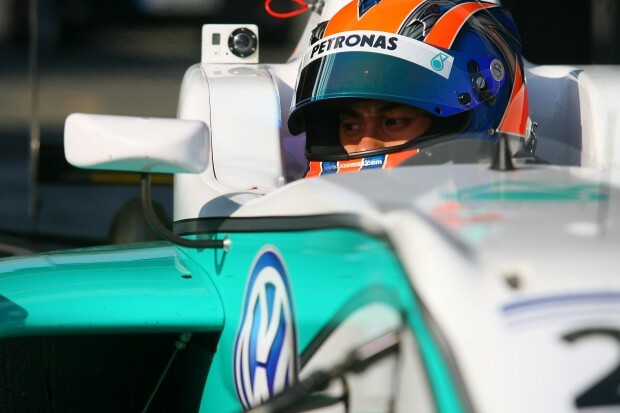 Jazeman Jaafar finished pre-season testing at the top of the timesheets, rounding off a strong start to the year, with the young Malaysian heading the field in three of the four official tests held before the season starts next month at Oulton Park circuit in Cheshire. 19-year-old Jaafar had a productive day of testing at Oulton Park, the final day of pre-season preparations for the ten-round British F3 championship, and also the venue which will host the opening race weekend of the year. “Putting in the quickest lap of the day was a great way to finish up pre-season testing and I was pleased to have got the best from my tyres. I didn’t put new tyres on for the afternoon session as many other drivers did, but still finished up fourth quickest, so we’re looking good. The PETRONAS-supported driver has been a front-runner throughout 2012 testing, finishing quickest at the opening test in Snetterton, backing this up with a timesheet-topping performance at Rockingham, then second quickest at Silverstone, before leading the way at Oulton Park today. The first round of the British F3 International Series takes place at Oulton Park at Easter weekend, with the first race on April 6th and the second and third races on April 7th.